The Caliente Tropics Hotel built in 1964 kicks off the Modernism Week with a Mambo party considered to be the hottest one west of Havana. Originally being the home of the Congo Room in Palm Springs, the hotel is being changed into a Mid-century modern Mambo club where you can dance Mambo to the music of DJ Alf Alpha and live music bands playing hot rhythm from the era of latin Mambo. 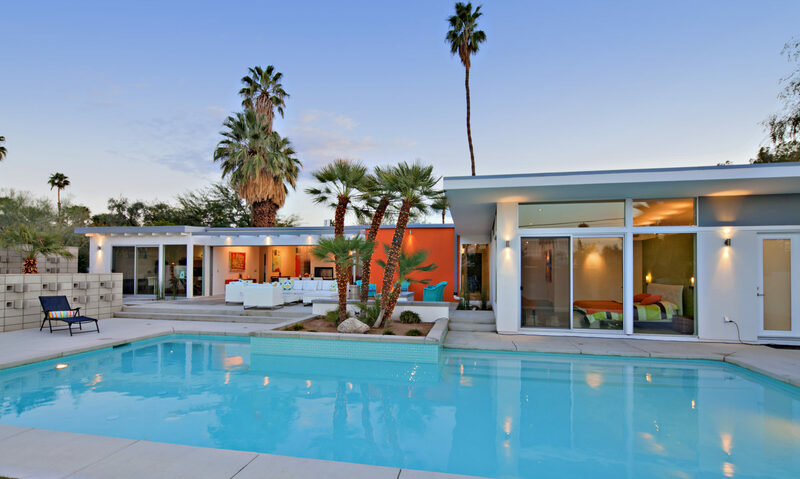 Modernism Week presents a new event of modern and mid-century modern architecture with world known designers. Luxe Interiors & Design in collaboration with other world known designers transform a mid-century modern residential property designed by Sand Sackley. The property is the idea of famous Palm Springs designer Christopher Kennedy who is the originator of the project. It will be open for public viewing and be used for a few exciting events. Hugh M. Kaptur, AIA a well known architect from Palm Springs will be honored with a special ceremony on the Palm Springs Walk of Stars, held at the corner of Palm Canyon Drive and Baristo on February 14th. The ceremony takes place publicly and a reception will follow at the Palm Springs Historical Society. Mr. Kaptur is also part of an independent film documentary “Quiet Elegance – The Architecture of Hugh M. Kaptur”. This film will be shown for the first time during the Modernism Week on February 17th with a Question and Answer session following. 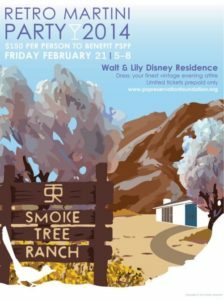 The modern homes of Hugh M. Kaptur in Desert Park Estates & Racquet Club South will be featured on the tour as well and celebrates the relationship between architect and The Ranch Construction Company on February 21st. 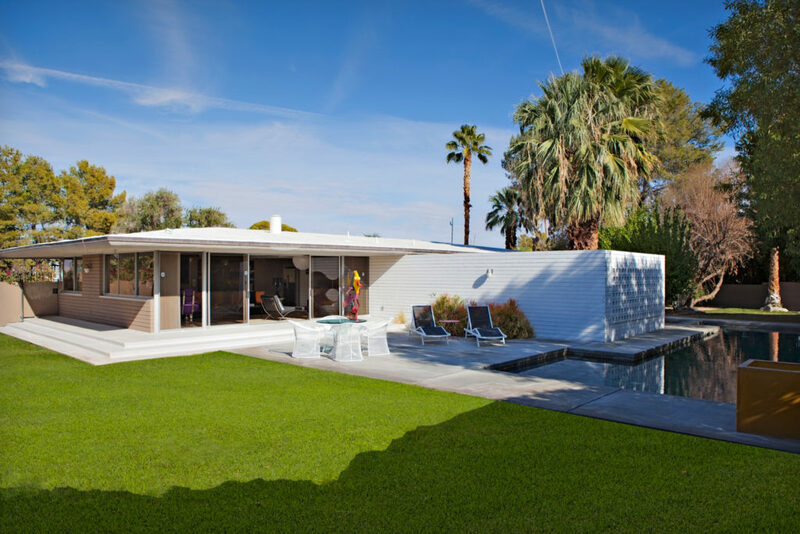 During the Modernism Week this very special one of a kind Mid-Century Modern Collector’s home will be shown on the tour on February 15th, 2014. Walther S. White known as a respected architect and industrial designer shows his work using light, comfort with steel, glass and concrete to create a special living space. The high rising ceiling with its clerestory windows between rooms creates space an openness and lots of light. A typical mid-century interior block wall runs through the house and continuous to the outside past the patio where it meets another wall with pierced concrete blocks so typical for mid-century modern. The pool, spa and patio invite for lounging, swimming and sunbathing. Original restored mosaic tiles in the bathrooms and the pebble floor entry add to the authenticity. The garage is supported by steel I-beams. The lot is big enough to add on a separate guest casita. US Santa Barbara is in possession of the original drawings in their archive.